Once you decide to use donor sperm to conceive, the next step is choosing the right donor. This important process may feel overwhelming at first since there are hundreds of quality donors available. To help put you at ease and give you a place to start, we suggest you begin by thinking about what’s most important to you. Consider the physical and psychological characteristics you value and that you’d like to pass along to your children, including intelligence, sense of humor, and other personality traits. Once you answer these questions, you can then use the many tools Seattle Sperm Bank offers to help you make the right decision for your family. Below is an overview of some of the ways we can help. A great first step is to use SSB’s helpful online donor search tool. This easy-to-use feature lets you search by various physical characteristics, race or ethnicity, and even which genetic tests specific donors have taken. Once you’re comfortable using our donor tool, try an All Access Pass membership. For just $50, you get three months of unlimited access to all donor profile materials, which saves you time and money. 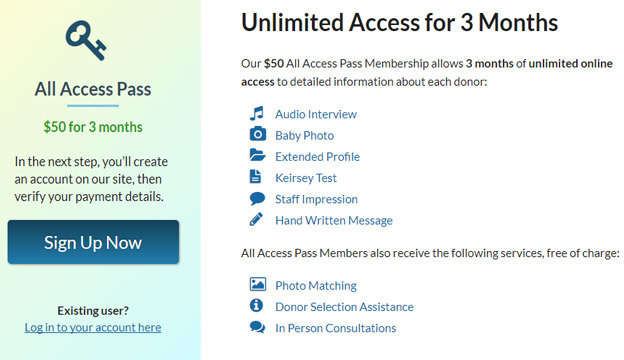 All Access Pass membership includes audio interviews, Kiersey personality tests, extended donor profiles, handwritten messages, childhood photos, our photo matching service, and more. In addition, you get personalized donor selection help from our team of client representatives. 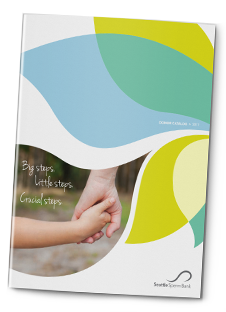 Each month, we carefully select one Featured Donor from our catalog. Along with highlighting the donor’s specific traits, we also offer a special 2 vials for the price of 1 deal for Featured Donors. We choose featured donors based on two factors. First, they must have enough vials available to qualify for our 2 for 1 offer. Second, we select a donor we think is outstanding and worthy of bringing to your attention based on their physical attributes and character traits. We can provide this benefit because we get to know all our donors personally, which helps us find the right match for you. Our customer service team maintains a regular list of special donors we call our Top 5. These men have it all: looks, brains, emotional intelligence, athletic ability, and a dedication to our program, which means they have enough vials available. If you’re having a hard time choosing a donor, you can’t go wrong with anyone on this list. To help you narrow down your selection, we also create a specific list of highly educated sperm donors who are practicing physicians or dentists or are completing medical or dental school. We also maintain a list of some of our best younger donors, which may be ideal for older women trying to conceive. As your pregnancy partner, SSB is here to help you choose the best donor for your needs. If you have questions about the process, please contact us at cs@seattlespermbank.com or 206-588-1484 so we can give you personal attention.